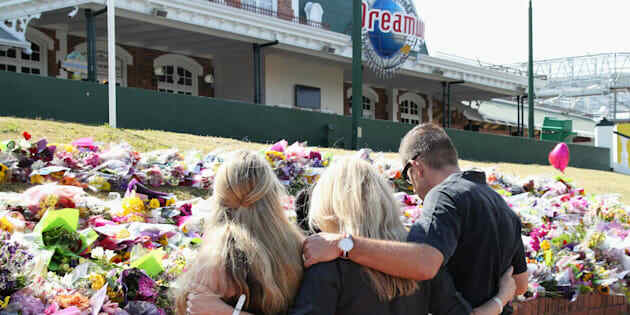 Staff members paid tribute to the victims and their families outside Dreamworld on Friday. 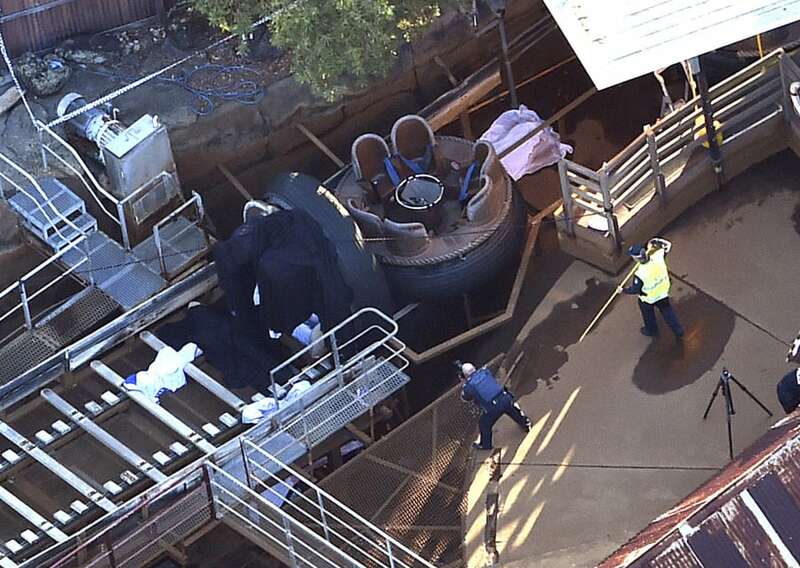 The bodies of the four people killed at Dreamworld in Queensland last week have been released to their families, authorities confirmed on Monday. 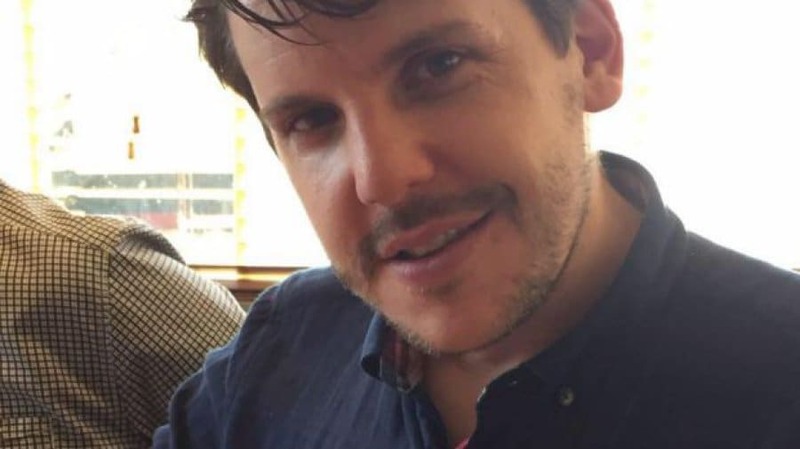 Queensland Police released a statement on Monday afternoon, announcing that the post mortem examinations were completed by the coroner and that the Queensland Police Service are continuing to investigate the cause of the tragedy. Authorities will give the coroner a comprehensive report into the fatal accident after the investigation is completed. "At the conclusion of investigations police will submit a comprehensive report to the coroner," the statement said. 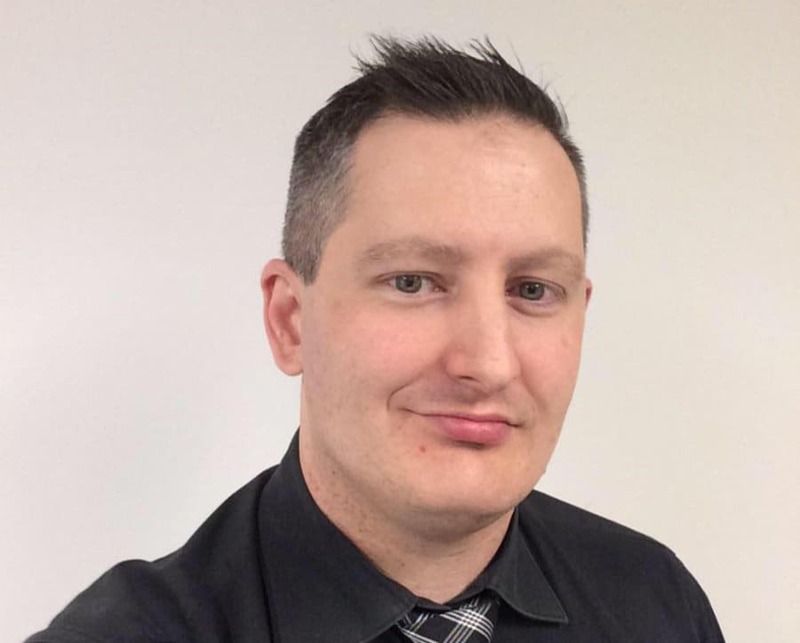 "As this is a coronial investigation, police are not able to provide investigative updates." The Thunder River Rapids ride where the tragedy occurred on Tuesday. 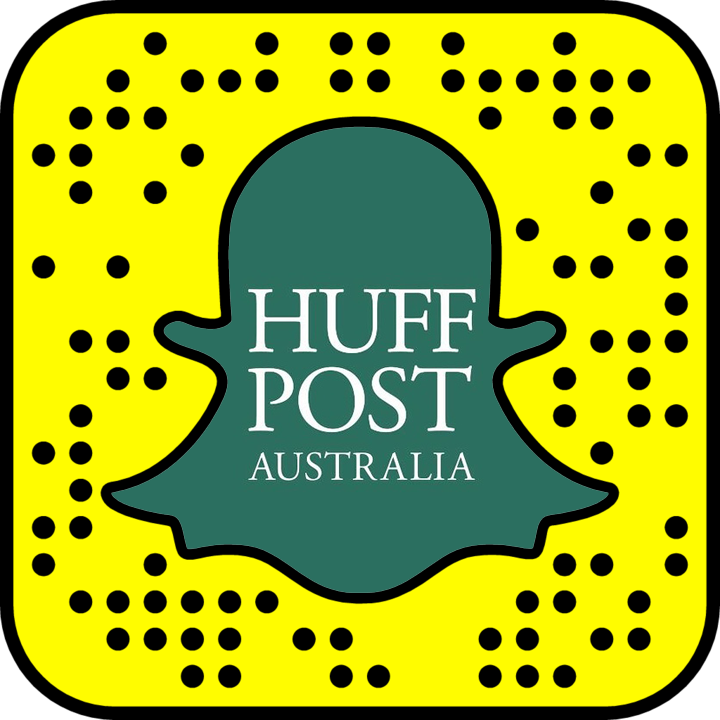 Cindy Low, Kate Goodchild, Luke Dorsett and Roozbeh Araghi were killed on the Thunder River Rapids ride at Dreamworld on Tuesday afternoon. The theme park was shut immediately and has remained closed since the tragedy. On Monday afternoon Dreamworld CEO Craig Davidson confirmed 200 staff have voluntarily returned to work despite the theme park remaining closed to the public. Executives announced last week the theme park would open on Friday for a memorial service, with all funds donated to the Red Cross. However authorities raised concerns it could hinder the speed of the investigation so the park remained closed. Two children were also on the ride at the time the tragedy occurred and survived, which police have labelled "almost a miracle". 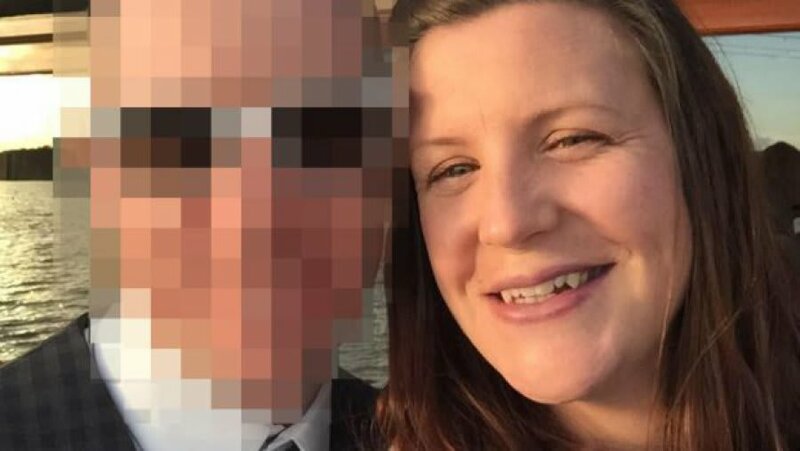 "In terms of how they escaped, maybe through the providence of God or somebody, but it seems from what I've seen almost a miracle that anybody came out of that," Queensland Police Assistant Commissioner Brian Codd told media on Wednesday. "If we're going to be thankful for anything, I'm thankful for that."